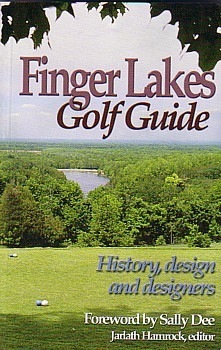 Caddie Jay Hamrock, AKA Upstate Jay, has compiled a unique guide to golf courses in the Finger Lakes region of upstate New York. It is indexed by course and designer, town and county and covers their history and layout. Also included are directions and playing tips to help you achieve your best performance. Jay, a native of Ithaca NY, has traveled the globe to caddy on the PGA, LPGA, and Nationwide tours. He is a Cornell graduate and studied golf design at Harvard University.